AnyBook includes a comprehensive purchase order system which is nearly as large as the core program. AnyPO: Purchase Order System . 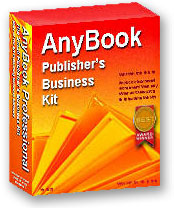 . .
AnyBook includes a comprehensive purchase order system which is nearly as large as the core program. It includes multiple filter options, advanced search, batch printing, email export, currency conversion, multi-line descriptions, ability to process back orders and drop shipments, an inventory mode to track items received, and a feature to automatically update inventory. The purchase order system, called AnyPO, is sold separately but is included as part of both the Level IV and V packages. The Level VI package includes a more enhanced AnyPO II.